The Freeligion Blog The greatest secular site in all the land! 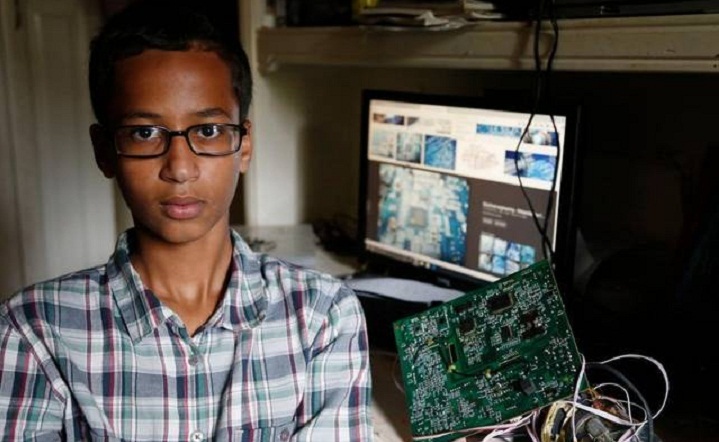 I’m almost certain you will have heard by now about the Muslim boy in Texas that was handcuffed and arrested (later to be released without charges) for building a clock and taking it to school. Officials thought the clock looked ‘suspicious’. The internet went insane. ‘This is a child!’ ‘How could they do this to a kid?’ and ‘That kid should have known better’ are some of the comments flying around. 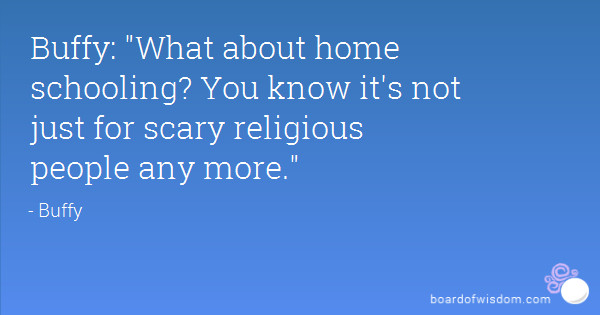 But after a little time, I think I’ve realized what these people are really scared of, religion. Now, hang on. Before you assume this is me talking about how religions kill people, take a second to read. The police that arrested this kid didn’t do it because he had a clock. Everyone had a clock. 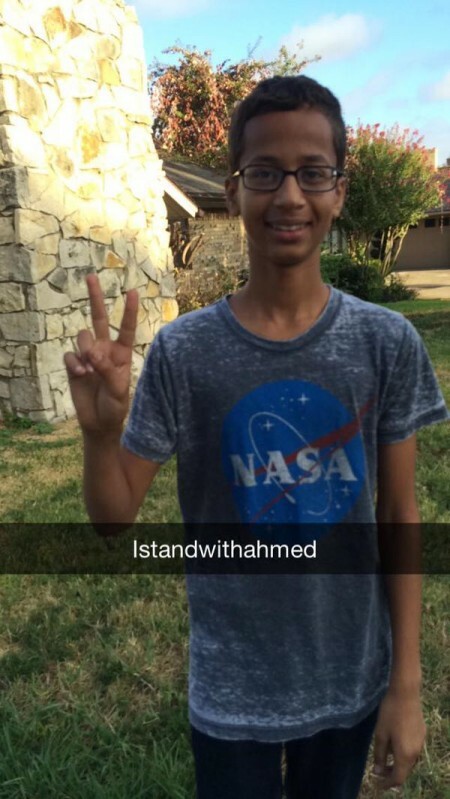 They did it because he is Muslim and people are AFRAID of Muslims right now. Let me be clear. People aren’t scared of Lebanese, they aren’t scared of Iranians, and they aren’t scared of Iraqis. People are worried about what ISIS will do. People are scared of what Christians might do. People are scared of religion, and they arent willing to admit thats the root. If this kid was Raul Jacobs of Austin TX, he would have just been ‘that brown kid over at the highschool’. But, when you add in the religious part, people become afraid of what else this person might be. When god is with you, who could be against you? If we are to be honest about the fears mentioned above, we find that they are fears based around what we all believe religion is capable of making people do. We day in and day out see people doing horrible things in the name of their god(s). As Sam Harris has put it ‘religion allows people to believe by the millions what only a lunatic would believe alone’, and I think we all recognize that. Even the religious among us realize what a dangerous things such as blind faith and religiously motivated ‘reasoning’ can accomplish. We have seen over the last several hundred if not thousands of years how religion poisons peoples reasoning, rationality and ability to tell reality from fiction. The flawed thinking created in a religious mind doesn’t always stop there. That blurred line of ‘nature’ and ‘supernature’ (which Im still waiting on a real definition for) makes daily life harder for some because they cant tell on their own whats real and whats just a myth or allegory from their ‘holy book’. In short, what these cops and faculty members have said is not ‘we don’t trust Muslims because they are inherently bad people’, but that ‘we are terrified of what your belief in imaginary friends might make you capable of doing that you would otherwise see as irrational or immoral’. I feel it’s time we were honest about that fear. I’m not afraid to stand up and shout “Your belief in fantasy and fairy tales makes me fear for your sanity and rationality”. 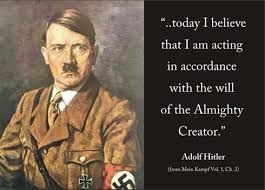 Running around telling people you have conversations with a deity that no one else can hear, they can’t validate and that people should listen to your ‘revelations’ is not the behavior of a sane and rational individual, and I think its time we were all brave enough to point that out, and stand up for reality based thinking. I’m sure there was a healthy dose of the southern intolerance of religions other than Christianity, but that’s nothing news worthy. Michael Cain is an IT Director by day and and by night is a fearless fighter of falsehoods and fiction fenced as fact.